In this installation at an exhibition center in Switzerland, Parans light is used over a sitting area surrounded by a plant wall. 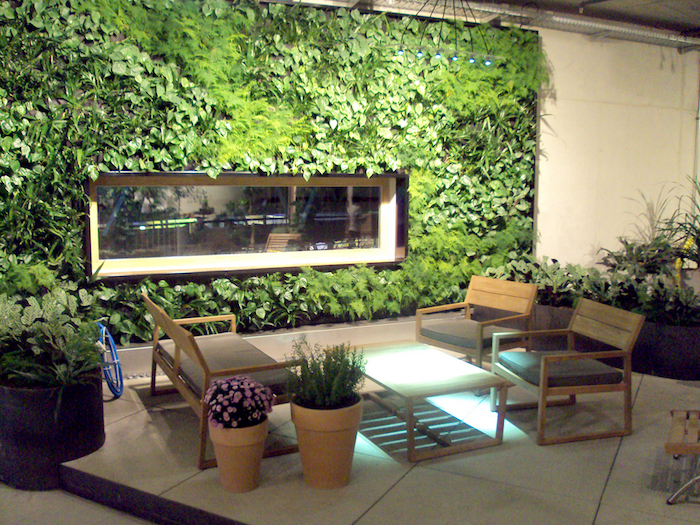 The room is located far into the building, but Parans’ solutions gives the room a connection to the outdoor environment. 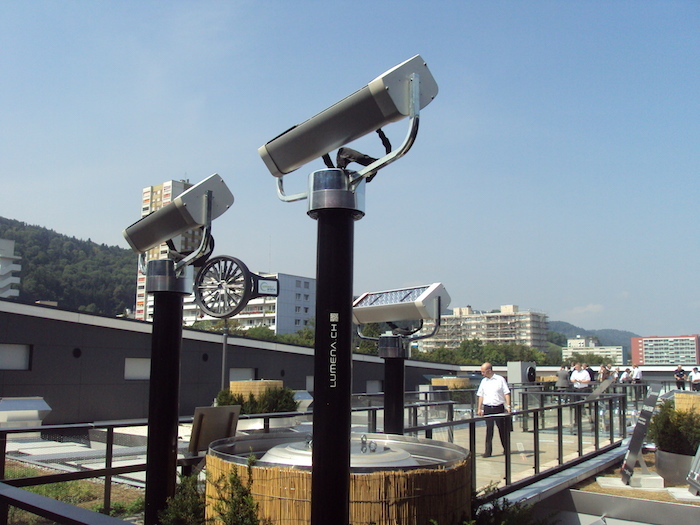 The sunlight collectors are placed on pillars, specially built for this installation, to receive as much light as possible. 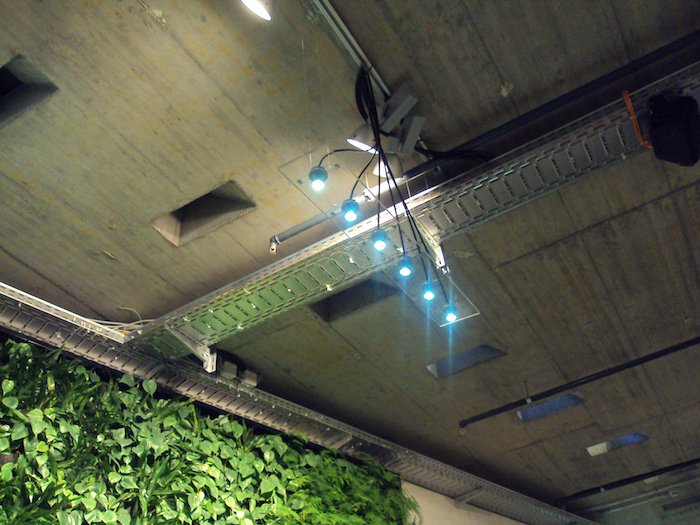 The thin, flexible fiber cables run 10 meters into the building where Parans’ L3 spotlights* have been combined with a clear glass plate to create a sunlight chandelier.